The Surp Krikor Lusavoriç church stands on the coastal road in the Istanbul neighborhood of Kuzguncuk. Below it lies the waters of the Bosphorus, to the northeast stands the intercontinental suspension bridge, raised in the 1970s, that connects Europe with Asia; next door stands a mosque. Local residents point to the way these two places of worship—one Armenian Christian, the other Muslim—exist adjacent to each other as historical examples of cosmopolitanism and coexistence. But as Amy Mills shows in this study of Turkey’s largest city, rose-tinted memories of a contented multicultural past are not always to be trusted. In 1900, foreigners, mostly of Greek, Jewish, or Armenian extraction, comprised 56 percent of the population of Constantinople. 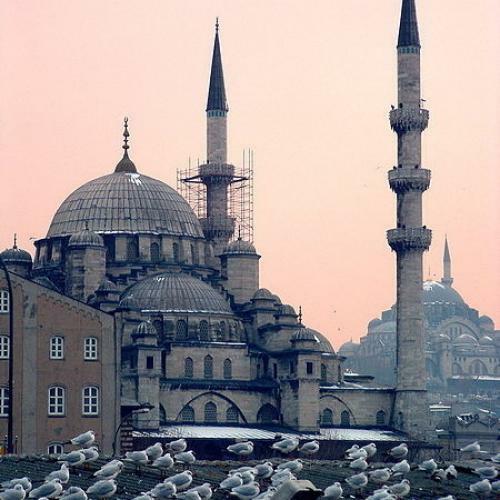 By the end of the century, Christians and Jews made up less than one percent of the population of Istanbul, largely as the result of sustained policies of Turkification that were enacted following the foundation of the Turkish Republic in 1923. As Mills remarks “Those minorities were seen as both betrayers of the Turkish nation-state and an unacceptable reminder of the Ottoman imperial past.” Mills uses Kuzguncuk to illustrate what it means to live in a place that is no longer diverse. The area offers a fruitful site for her investigations: its physical fabric still attests to its former multiculturalism, and Kuzguncuk has become a kind of shorthand, in contemporary Istanbul, for friendliness and enduring communal spirit, a place where the traditional Turkish mahalle or neighborhood has supposedly survived the perceived ruination of the rest of the city. Streets of Memory is the result of a process of scholarly embedding: Mills actually lived in the community that she studied. While in some cases she has obtained extraordinary access to the inner workings of its society, in other areas gaps are noticeable. The descendants and survivors of Kuzguncuk’s largely dispersed Greek, Jewish, and Armenian communities are not equally represented here. There are some wonderful Jewish voices—including interviews made in Tel Aviv, where émigré Kuzguncuk Jews proved more willing to discuss anti-minority policies than those who remained in Istanbul. But the Greek experience is largely distilled into Mills’ encounters with one elderly woman, while the Armenian voice is almost totally absent. To her credit Mills is forthright on this matter—admitting that even though former and current Jewish residents were reluctant to speak, their caution was nothing compared to the impenetrability of the Greek and Armenians communities; but still her account suffers as a result. The greatest frustration with Streets of Memory, however, is inextricable from its major strength. Through her willingness to immerse herself in a small community, and despite her admitted difficulties with access, Mills has painted an impressively vivid and coherent picture of the past and present of Kuzguncuk itself—but she does not place her reporting in a larger context. Contemporary Turkey’s relationship with the past is both crucial and contested. Consider only the current Ergenekon investigation, a sprawling probe into a supposed clandestine ‘deep state’ determined to uphold secular nationalist values. Named after a mythical area in a Central Asian valley where Turks are said to have been saved from annihilation by a wolf that led them past their enemies, the Ergenekon network was allegedly planning the overthrow of Prime Minister Recep Tayyip Erdoğan’s Islamist-rooted AKP government. Moreover, the country’s attempts to secure a settlement with its recent history—in particular the bloody counterinsurgency campaign waged against Kurdish separatists in the southeast--are almost unique: unlike South Africa or Latin American nations, Turkey is dealing with the past without the rupture of a complete regime change. Yet Mills does not throw her study open to broader questions. Only in the final section does she briefly consider what it means both that in the past Constantinople managed to exist as a multi-ethnic city, and that today Istanbul does not acknowledge the manner in which it ceased to be one. There is also a tendency here—ironically in a book that elegantly criticizes the crutch of nostalgia—to indulge in that very vice. Certainly there is something tremendously seductive about the lost cosmopolitanism of the eastern Mediterranean. But the blunt truth is that the melting pot is long gone now. Multiethnic Constantinople is perhaps not as far removed from present day Istanbul as the Alexandria of Lawrence Durrell’s novels is from the current condition of that Egyptian port, but the city is nonetheless thoroughly “Turkified.” While it is legitimate to point out the misleading implication of the way in which Kuzguncuk’s churches remain despite the departure of their congregations, it is also valid simply to rejoice in their continued physical existence. After all, as Istanbul’s population soars—and the city is now home to over twelve million people—much of the old architectural fabric is threatened by breakneck development. There is something to be thankful for in the simple endurance of the physical, even if it lulls the viewer into a rosy view of the past. The mosque may stand next to the church in terms that are only narrowly geographical, but at least both are still standing. Better the reminders of a lost richness than a poor jerry-rigged apartment block. Simon Akam is a British writer and former Istanbul resident. His work has appeared in The New York Times Book Review, The Times Literary Supplement and The Guardian.